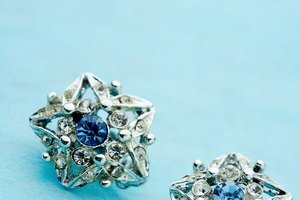 There are two variations of huggie earrings, according to OnlineJewelryEarrings.com; some huggies follow the pattern of the earlobe while others are in a hoop form. However, both kinds of huggies hug the ear closely. Huggie earrings, better known as huggers, are worn in pierced ears. A hinge is located at the top of the earring that allows the post to open and close without an earring back. This earring gets the name "huggie" because it is designed to hug your ear, according to the website Earringz.info. Huggie earrings vary in cost. 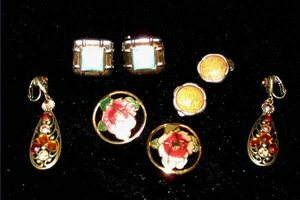 The price truly depends on gemstones, accents, karats, and the metal used to make them, such as gold or silver. Huggie earrings commonly come in shapes, such as a heart or rectangle. Huggies are available in a plethora of sizes, according to Earringz.info. 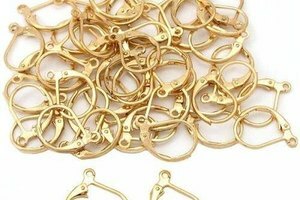 According to OnlineJewelryEarrings.com, huggie earrings will not become tangled in your hair, they are safe for kids to wear, and they go perfectly with any outfit.